Business owners are constantly hounded with low offers from unknown merchant service providers. While it’s not difficult to find the lowest price on any service, it is challenging to find great service in regard to a low price. Potential clients can rest assured knowing that APP Inc. has provided quality processing services for the small business owner as well as the most robust of merchants from nightclubs to hotels, all at a fair price. We can process any form of electronic payment such as Visa/MasterCard, American Express/Discover, PIN based and offline debit, Voyager Fleet Card, EBT, check conversion with guarantee as well as support for E-Commerce transactions. 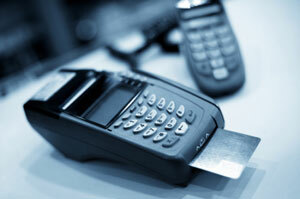 The correct payment processing equipment is vital to your business’ success. APP Inc. has selectively chosen equipment which passes our rigid performance guidelines and meets all current PCI-DSS (Payment Card Industry – Data Security Standards). We only offer models that are highly reliable, possess efficient functionality, and remain user friendly. Cut down trips to the bank and make things convenient for yourself by processing checks from your point of sale. 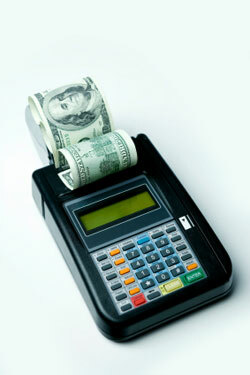 With a check reader you now can scan and settle your check transactions just like a credit card transaction. With a cash advance you are not applying for a loan. You are getting an advance against your monthly credit card receivables. We offer both standard and fully customized gift cards to increase you brand awareness. Don’t use a 3rd party payment gateway for your website’s processing needs. Certify your shopping cart with our Orbital Payment Gateway and avoid high monthly fees and doubling your per transactions fees by using a different gateway and merchant processor. We give you the most efficient and cost effective solution you will need to launch your website into the realm of eCommerce. No longer will you have to tabulate and enter transactions twice. Save time and money by becoming more efficient. If you should elect to offer your clients the privilege to pay with Amex or Discover we will do the legwork for you and secure these accounts for your business. Both these card issuers offer various rate programs depending on your business. Call us to find out why it’s worthwhile to offer this payment option to your clients.